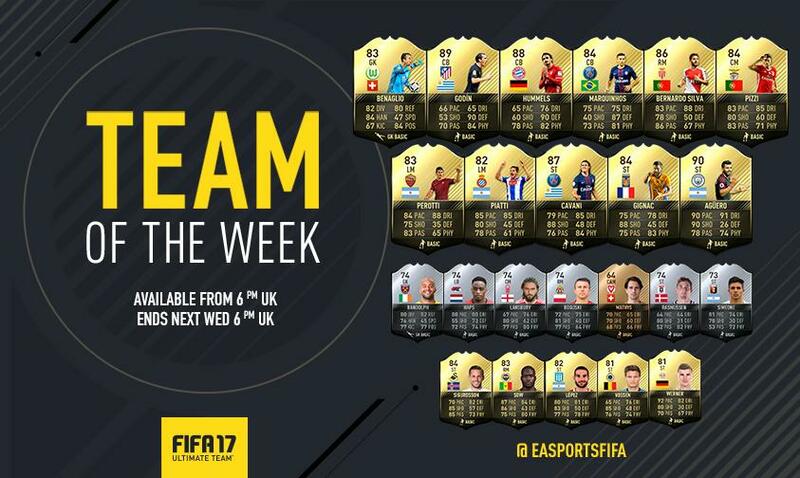 The new FIFA 17 TOTW 11 lineup has been officially revealed by EA Sports. At the same time, EA gives players free Chapecoense kit and badge in support of Chapecoense. Sergio Agüero and Mats Hummels receive IF cards. TOTW 11 will be avaiable from 6pm,November 30th until 6pm UK time, December 7th. Here is the full squad. Copyright © 2019 by . Theme: Express by YoArts.